Granite Memorials are flush, lawn-level memorials permitted in select sections of the cemetery. Granite Memorials come in various types: Individual, Companion, and Infant. Family service counselors will work with you to design your granite memorial using our wide selection of available designs which are permanently sandblasted into the finish. Your design experience includes your choice of memorial design, granite color, and personalized endearment phrase. Lincoln Memorial Park offers a number of floral vase designs in bronze, granite, aluminum and zinc. Floral vases can either be part of the design of a memorial or they can be installed in addition to a memorial. Memorials are priced by granite type and size and come in Individual, Companion, and Infant. Template selection and design of the memorial, including the color. 3 lines of lettering, which are typically used to engrave your loved one's Name, an Endearment Phrase and the dates. Opportunity to add personal embellishments such as an etched portrait, vases, or emblems (additional costs apply). 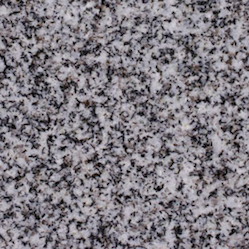 Granite is a unique natural product and while the images below are intended to match the granite as closely as possible, some variation is possible. Additional options may be available. Celebrate your loved one's memory with a photo-realistic etching. You are able to use your own photo portrait to custom design a personal and meaningful memorial that reflects your loved one's life. Photos are etched on granite and can be further customized with emblems to reflect the ultimate in personalization. We assist you through the entire process and monitor the design and creation of your memorial through completion. If you are out of town or out of state, we can assist you in honoring your loved one. Through email we have assisted many families across the country to design their personalized memorial. Finally, because of our prices, consideration and ease of design, we are happy to assist families in designing a memorial for their family who is buried elsewhere. © Lincoln Memorial Park, LLC. All Rights Reserved.